I’m not sure what strikes ordinary everyday fear in a parent’s heart than the thought of bringing a baby or young child to church or a restaurant, on an airplane or anywhere that you really need them to be well-behaved. Because little ones are unpredictable, and they can sense fear. Stressed that they won’t be quiet? Oh they can sniff that out in two seconds, and talk about a self-fulfilling prophecy! But there are tried-and-true principles and tactics to get children to be polite, quiet, and respectful in settings that you need them to be most. 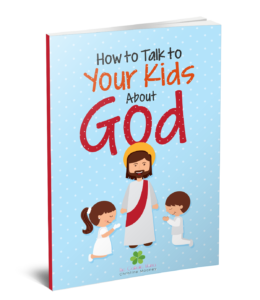 I chatted with Steph Hampton, author of the forthcoming mass book series for infants and toddlers, called Little Catholics books. She developed these little mass books for her own daughter. While still in the works with the publisher, the first of these books will be out soon. 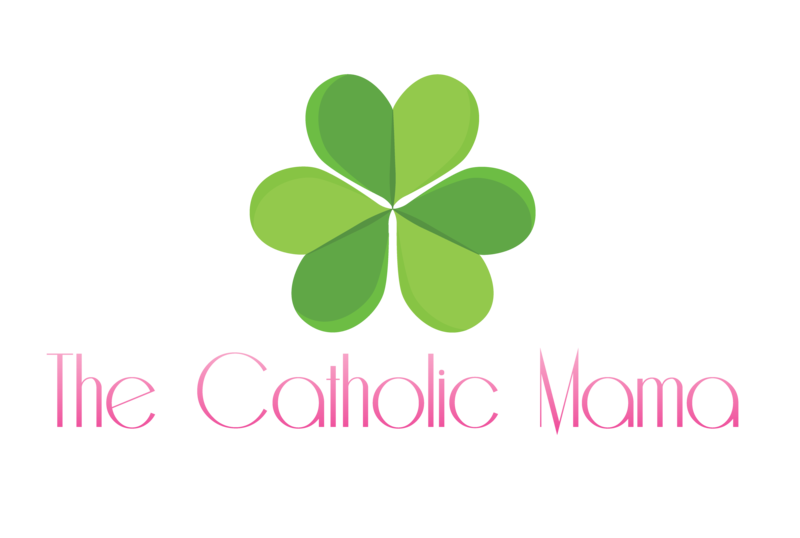 But for now, Steph joined me on EP 36 of The Catholic Mama podcast to get real about bringing babies and toddlers to church. 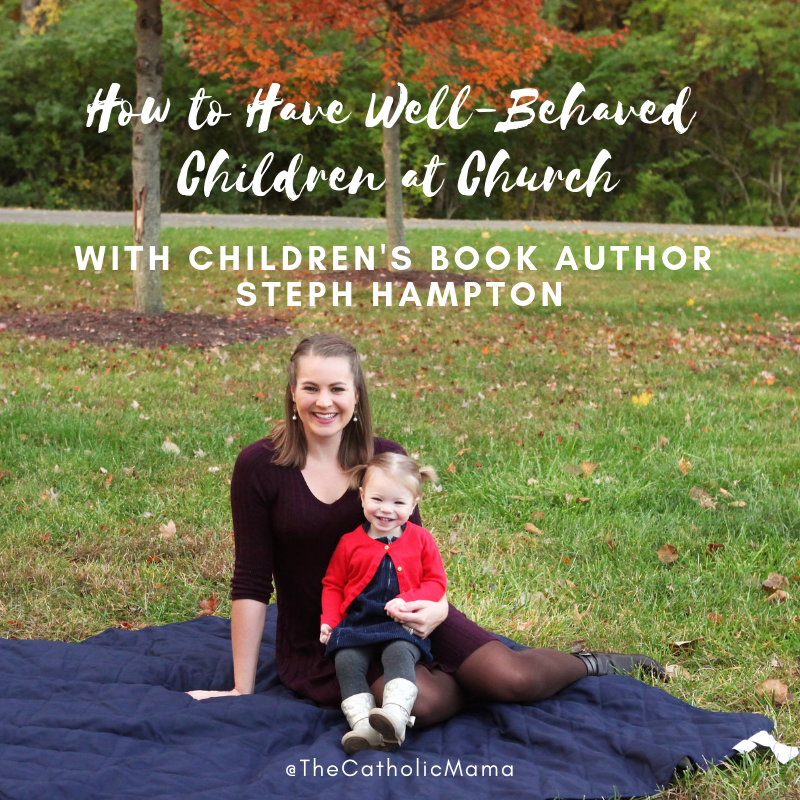 Give a listen to Episode 36 of The Catholic Mama: How to Have Well-Behaved Children at Church with Steph Hampton. You can download it directly here or you can listen to it on iTunes, Stitcher, Google Play or iHeartRadio. You might also be interested in this episode on How to Survive Long Road Trips with Small Children, which is available on The Catholic Mama podcast. I also wanted to flesh out some of those principles that we talk about in the episode. These apply to church or anywhere else that you’re bringing along your kiddos. 1) Start ‘em young. Get them used to going to places that require a certain, restrained behavior. Take them out to eat, go to daily mass as well as Sunday mass. 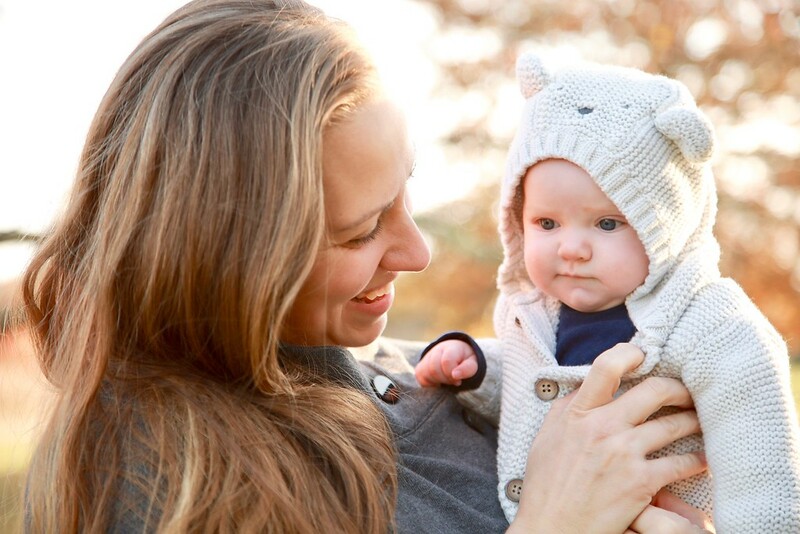 Cultivate new things that you can do as a family (like adding in weekday mass if you don’t already go), or keeping other well-loved, pre-kids activities in the line up. For example, eating out was just something that my husband and I loved to do before kids and wanted to keep as part of our lives. It was NOT easy. I mostly just sweated. At least at first. Now it’s easy peasy (we have a tradition of taking each baby out within the first week to our favorite gastropub). We also go to daily mass two to three times a week to further ingrain and reward the right behavior. 2) Go to places you normally frequent anyways. We have a small list of places we like best – two gastropubs, a fancy-ish Italian place, and a breakfast joint. The staff there know us, we tip well and pick up after ourselves, and they like us. We know what to expect and they know what to expect from us. It’s comforting in a time that can be a little stressful. Note: I highly recommend NOT utilizing your church’s cry room as much as possible. It’s usually a free-for-all in there on Sundays and sets the wrong expectation for your children. From the very start, the default expected behavior should be one of good manners in church. The cry room does not facilitate that lesson well at all. 4) Set expectations for yourself. You won’t be able to relax like you can without kids. It will be messier. Your prayer time might be cut short.You will probably need to order the kids’ food first or go earlier so it isn’t so crowded. Bring a couple of toys or a small notepad and a crayon for places that don’t have that sort of stuff on hand for kids. 5) For places like restaurants, make them happy to see you come back. Clean up the table and floor as much as is practical and pad the tip a little for the server. Be kind and understanding (you’re setting an example for your kids, for the staff, and for anyone else watching). 6) Develop your adult social circle. As Steph shares in the podcast episode, she and her husband sit in church alongside other young parents and friends. Afterwards, they get together at someone’s house for brunch. The same strategy can be used for travel (if possible) and restaurants. Ask friends to join you. You’ll have extra eyes and hands for your kids (not that the goal is to pawn off your children on anyone- definitely don’t do that! ), but mostly you affirm to yourself and your friends that those relationships are still important, even after having kids. And with great friends, those relationships can continue to strengthen. Get in the right mindset, practice fortitude and patience and enjoy the time with your family. Gentleness – towards your children, your spouse, and yourself – wins the day when it comes to these kinds of adventure with kids. Good luck 🍀 and happy praying, eating, and adventuring! Did I miss any? Do you have advice for parents that has worked for you and your family? Share in the comments below!